Just about every modern household has a wealth of gadgets that need to be charged regularly. 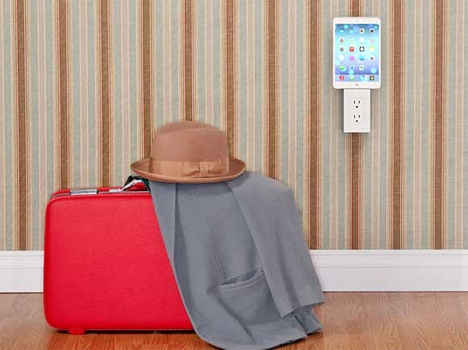 The thingCHARGER is a device that lets you charge your stuff while keeping your outlets free. 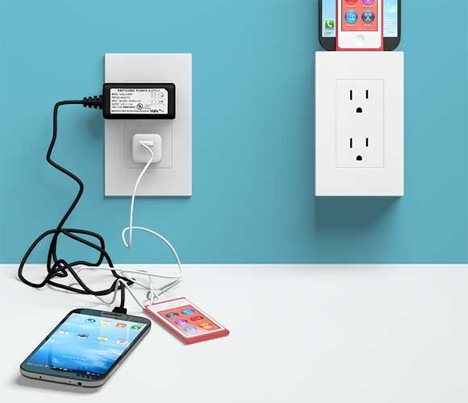 The thingCharger is like an extension of your outlet with a charging tip on top. 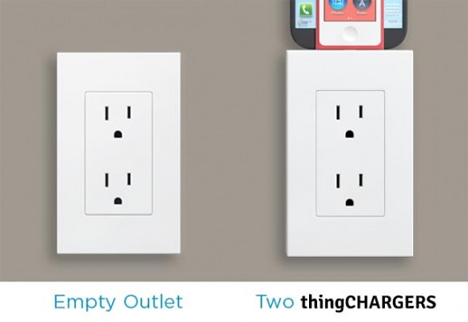 The box simply plugs into your existing outlet, leaving you free to use the outlet just as you normally would. The charging tips are interchangeable and can be used to charge a variety of devices. The tips store right in the back of the thingCHARGER so they’re always handy when you need to switch. In addition to the charging tip on top of the device, the underside features two USB ports for even more charging power. The electrical outlets are always on, but to save power the charging tip and USB ports can be shut off via a button on the side. 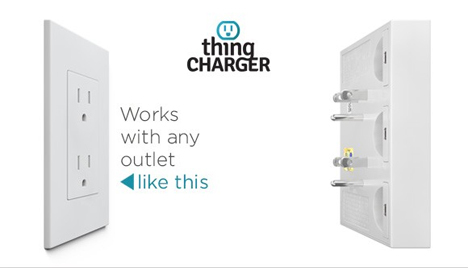 ThingCHARGER is only available for North American outlets at this time, but the creators want to work on designs for other parts of the world. See more in Industrial Design or under Technology. December, 2013.